The last demo day in San Francisco was for ITU/ARI Teknokent held on Wednesday, January 27th, 2016. Information about other San Francisco Demo Days can be found here. ​​Fidelo is a loyalty program solution for small and medium sized food and beverage retailers based on dollars spent. Detailer is a software company focusing on business intelligence, data integration, and mining solutions for retailers. ​LA Software is a warehouse management solution that makes it easier for retailers to monitor, track, and optimize their omni-channel supply chain. ​Monument is the world’s first Artificially Intelligent (AI) personal cloud device for photos and videos. Monument collects and organizes photos and videos from smartphones and cameras effortlessly. ​SFS is a software company providing technology solutions to the entire insurance ecosystem. 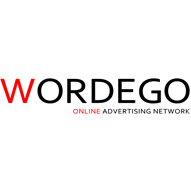 ​Wordego is an online advertising network that connects advertisers and publishers. The platform enables a more efficient and more effective marketplace for the user.